Dr. Diane Bottary provides quality chiropractic care to patients in the Southcoast of Massachusetts. If you suffer from back pain, neck pain, headache, sciatica or have been in an auto collision, Bottary Chiropractic can get you back on the road to health. Dr. Diane Bottary is the owner of Bottary Chiropractic. She received her Bachelor of Science degree in Biology from the University of Massachusetts in Boston. She attended Life University in Georgia where she attained her Doctorate of Chiropractic. Dr. Bottary became a member of the faculty at Life University following her graduation in 2000. Call our office today at (508) 995-2000 for an appointment. Allow me to introduce our new addition...A "State of the Art", fully automated, Hill Laboratories Flexion/Distraction Chiropractic table. This gentle, safe and effective rhythmic motion helps aid the doctor in getting rid of you nagging back pain. 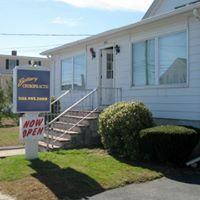 Call our office at (508) 995-2000 for an appointment today!